To envision emotion focused new product ideas. When we buy a product, we buy a physical artefact to achieve a certain goal, like to make a coffee, to interact with people, or to listen music. But when products are designed to offer experiences, we are buying an enjoyable time, a series of pleasurable events; even when we are just making coffee. The pleasure we experience can be associated with different positive emotions. Our emotions are unique and individual, we can feel either positive or negative emotions towards different objects, situations, or people. And products are part of the stimuli that provoke emotions in people. Nowadays, we have a lot of options when buying a product, and our decisions are driven by selecting meaningful products to us. Designers are aware of this; they know that apart from product style, what is important to users or consumers is a product’s emotional and symbolic values. Efforts from academics have exposed that products that provoke intended emotions can support the differentiation of the product in the maker; specially provoking positive emotion can enhance product innovation. And it has been demonstrated that the knowledge of emotions can be applicable and beneficial to all designs created for customers: product design, food design, package design, service design, etc. Emotion-Driven Innovation is a process to challenge the minds of people involved in the design of new products; to create and materialize visions of emotion-focused new product concept ideas. In the development of the process, three relevant questions came out: 1) What should be the language to generate the emotion-focused ideas? 2) How might it be possible to interpolate the knowledge of emotion in the configuration of a product? 3) What are the skills that the people involved in the design activities need to have/develop in order to design a product to trigger emotions? We already know that a product can provoke emotions linked to another person (i.e. a person can feel proud to wear a watch that belonged to a beloved relative) or can be related to a special event (i.e. a person can feel love for a pair of shoes that were worn during an unforgettable trip). However, we are pursuing the innovation of a product through the application of emotion knowledge. Our interests are exclusively in the design conditions that work as a trigger for emotions. This is the line of the language of Emotion-Driven Innovation. First, we defined human-product emotional interactions as the situations in which the appearance of the product (aesthetic interaction), functions of the product (behavioral interaction), and meanings of the product (symbolic interaction) elicit emotions in people. Aesthetic interaction attempts to design products as artwork to delight people. The emotional reaction occurs when the product is perceived by the senses of the human body. What we hear, feel, smell, or taste matters and makes us feel something. The behavioural interaction occurs when the product is used as a tool to perform an activity. The way in which the product communicates its functions can elicit different emotions in people. The symbolic interaction occurs when the product is perceived as a symbol of something else: a concept, an idea, a value, a belief, a quality, etc. The symbolic meanings can be communicated by the tangible and intangible elements related to the product. Secondly, part of the language of the process answers the second question. Emotion-Driven Innovation is focused on generating ideas to trigger positive emotional states in people. To achieve this objective, it adopted the framework of 25 positive emotions proposed by professor Pieter Desmet (professor of design for experience at the Department of Industrial Design Engineering at Delft University of Technology). But how might it be possible to interpolate the knowledge of the positive emotions in the configuration of a product? The definitions of the positive emotions were translated into emotional-jobs-to-be-done by the products. Emotional jobs define how users want to feel or avoid feeling. For example, if the intention is to design a product to provoke the emotion of confidence, the emotional job of the product is “to give a feeling of security and absence of anxiety (in relation to risks and uncertainties”. Let’s make an example of emotional job in a real product. The job of a wireless speaker system is to convert audio signals into corresponding sounds using radio frequency waves; this type of job is a functional job. But, to arouse emotions products must affect in some way the person. Let’s consider the BeoSound speaker from Bang & Olufsen. 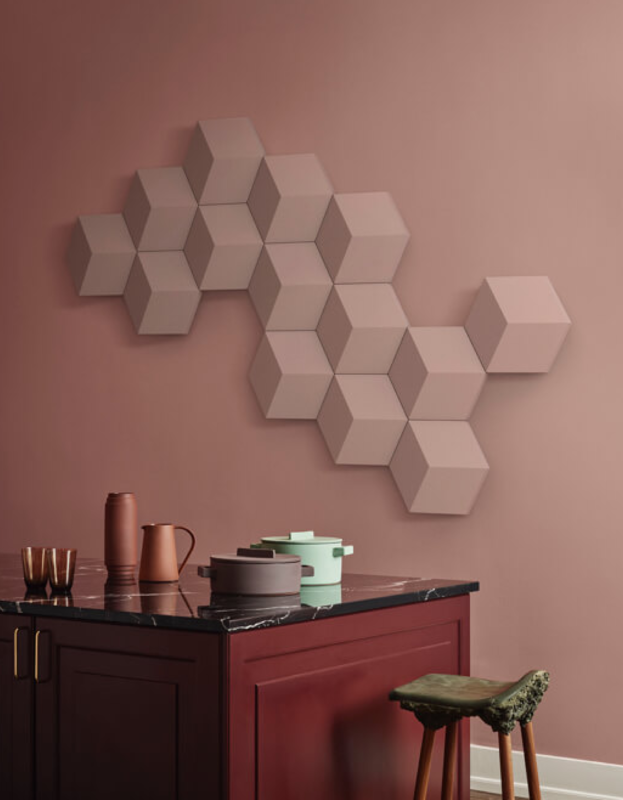 Its physical attributes allow the system to be placed on the wall of any room, and the shape of the speaker is made to be modular, facilitating the customization of shapes in the wall and the distribution of the sound in the spaces; this outstanding configuration can provoke inspiration by stimulating people’s creativity. This type of job is an emotional job. Emotion-Driven Innovation applies emotional knowledge to generating new product ideas. Emotional knowledge is the accurate knowledge of emotions, their conditions and their manifestations. It was considered right that the people involved in the design of an emotion-focused product needed to develop the competence of emotional granularity; which is the ability in which a person can interpret and articulate precisely their own and other’s emotional states. The mentioned competence could represent an advantage in design activities. If a product can trigger positive emotional states in people, it can improve the way people interact, work, communicate, collaborate, and, consequently, the way people live. Emotion-Driven Innovation was created as a research project to raise awareness of the importance of emotions in designing a product. I truly believe that today, design and development teams should relish the opportunity to think and create products to trigger people's positive emotional states. 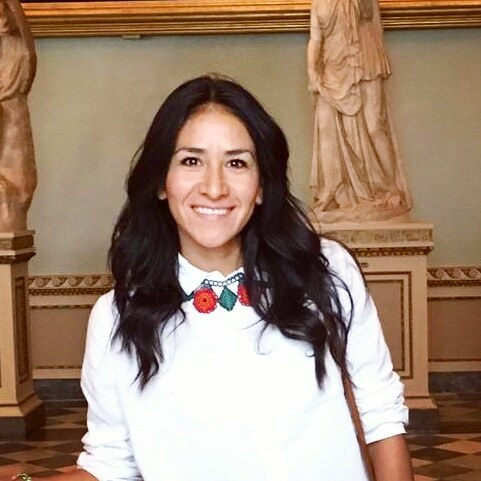 Written by Teresa Alaniz - Mexican industrial designer, currently PhD design researcher at University of Padova (Italy) with experience as teacher of Creativity and innovation, Smart things and Design for Experiences at ITESM (Mexico). Her education and line of teaching is aimed at methodologies for innovation, understanding innovation as a process of transformation of knowledge that provokes evolution through values. Coppin, G., & Sander, D. (2016). Theoretical approaches to emotion and its measurement. En Emotion measurement (págs. 3-30). Woodhead Cambridge, UK. Dell’Era, C., Buganza, T., Fecchio, C., & Verganti, R. (2011). Language Brokering: Stimulating Creativity during the Concept Development Phase. Creativity and Innovation Management, 36-48. Dell'era, C., & Verganti, R. (2007). Strategies of innovation and imitation of product languages. Journal of Product Innovation Management, 580-599. Desmet, P. (2012). Faces of Product Pleasure: 25 Positive Emotions in Human-Product Interactions. International Journal of Design, pp. 1-29. Desmet, P., Fokkinga, S. F., Ozkaramanli, D., & Yoon, J. (2016). Emotion-driven product design. In Emotion Measurement (pp. 405-426). Jordan, P. W. (1999). Pleasure with products: Human factors for body, mind and soul. En Human factors in product design: Current practice and future trends (págs. 206-217). London: Taylor & Francis. Norman, D. (2004). Emotional design: Why we love (or hate) everyday things. New York: Basic Books. Ulwick, A. W., & Osterwalder, A. (2016). Jobs to be done: theory to practice. Idea Bite Press. Vero Alfie balances craftsmanship and serial production perfectly. Feel the passion: a voyage inside a chef's mind not to miss!